Our Glitterazzi Hair Bow adds color to any dog. 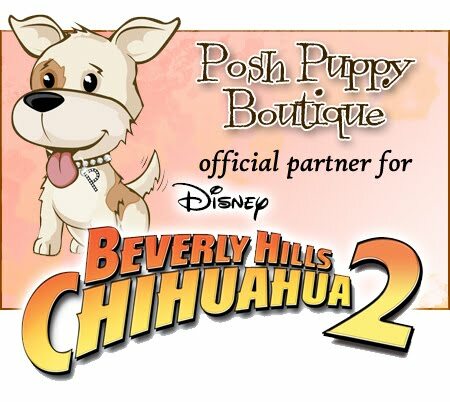 One simple, easy way to dress up your dog for any occasion is with one of the many hair bows and barrettes available at the Posh Puppy Boutique. For example, our Glitterazzi Hair Bow ($10) is big, bright and colorful. The red mesh on this bow comes in .25-inch and 3.5-inch sizes, making it perfect for even the largest of dogs. It even has a red metallic infused pom pom for added style and color. However, she can pretend to be in Laguna with our Laguna Designer Barrette ($14) in shades of yellow, blue and green. Another colorful option that is perfect for inaugurations, elections and the Fourth of July is our Mr. President Designer Barrette ($14) in red, white and blue. It is even Made in the USA. The Tinkies Garden Step-In Harness has a Swarovski crystal . Another place your dog can wear a colorful bow is on a harness. Our Tinkies Garden Simple Step-In Harnesses ($82) have a bright, colorful flower on the shoulder accented by a Swarovski crystal. Each Ultrasuede ® harness is easy to put on, secure and uses two “D” rings to secure a leash at your dog’s shoulders. Moving the leash back to the shoulder is safer for your pet by removing stress and strain from their delicate neck bones. Best of all, the Tinkies Garden harnesses come in 12 colors such as Bimini Blue and Tangerine. A matching leash is available for $54. Sizes range from teacup to large. A similar harness, which uses Velcro straps instead of a step-in design, is the Tinkies Water Lily Two-Tone Harness ($82). Available in seven colors, these harnesses feature a water lily at the neckline accented with a large Swarovski crystal. Both Tinkies Garden harnesses are made by designer Susan Lanci, who makes a wide variety of fashionable—and colorful—belly bands, coats, beds, bows, collars and collar sliders, harnesses, leashes and more. 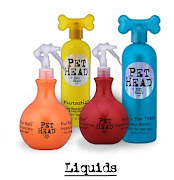 The best part is all of these pet products are available at the Posh Puppy Boutique.